Once you’ve had it, there is no escape. Torn away, you crave it, as a druggie craves their next hit. Left with only persistant memories, idealistic thoughts, you become an infatuation junkie. There is NO better feeling than meeting someone with whom you have a spark. That instant emotionally powerful and passionate connection. You feel alive! You chat for hours about everything and nothing. You get excited about doing crazy things you’ve always wanted to do but either never had the guts to do it alone, or never found anyone else who gave a damn. You confide in each other your wishes, hopes, dreams, and insecurites with an ease like no other. The feeling of isolation, loneliness and being misunderstood begins to fade. Could this be someone who will join you on your journey through life? … but as quickly as it began, it is gone. everything is uncertain. things fade after some time. it might be just a phase. or it might develop to a different feeling… sometimes you gotta make an effort to maintain the spark…like adding something to it every now and then. methinks. You’re right, things do fade after time, and I definitely agree that the feeling will develop into something else, but what I’m not sure. I’m guess I’m of the conviction that once the initial spark of a relationship has faded, if a couple remain together they may develop, rather than infatuation style love, a “higher” form of love, involving self-sacrifice, acceptance of imperfections or annoyances, things that we don’t usually associate with finding your soulmate. Is this actually true love? It certainly isn’t what Hollywood would have us believe that’s for sure! As for maintaining the spark, yeah every relationship will eventually require some work to keep things fun! well said robin. trying to accept each other for what they are and at the same time trying to adapt each other…easier said than done. but it wasn’t the right direction? would you be able to find a solution? for such realization in every situation? and start a new path to reach your destination? I wrote this in Sept’04…it probably fits a phase we both went through…? You will learn upon reflection. When connecting the dots back through time. The biggest gains in life come from testing! The Spark article was a partial draft in my head for a long time ago (like 2000, 2001)… then after certain events in late Aug, early Sep 2003, I was prompted to finish it, but never actually did. I finally got around to it in Sep 2004… maybe I should change the date?! OMG you would not believe this but I just checked the date I wrote this poem….it was Sept 16, 2003!! Deja vu! Most of us believe in a soulmate. I myself believe that. It is not only a myth narrated in love stories or portrayed on tv. That concept is also true in real life. There is a person meant for each one of us. There is a person meant to be a part of our lives, a person to love and to care for us. Only in finding our soulmate can we be truly happy. Well, I don’t agree with that (only in finding our soulmate can we be truely happy) but hey ho! where did u get this pic? I can’t remember now! 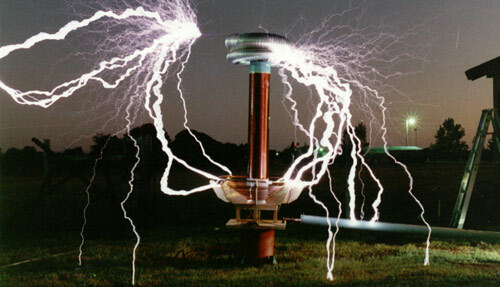 It’s a tesla coil… so perhaps a google image search for that will pull it up? years have passed i suppose my thoughts remain the same.